Welcome to this week’s Hero of the Week, which would be the first Hero of the Week, since I’ve never had a hero of the week before. And it should probably be Heroine of the Week, since after all she is a lady. Which of course, just makes her that much more awesome. Or so Mary tells me. Anyway, whether Hero or Heroine, this woman is humbling. She attributes every one of her hundred and five years on this Earth to bacon, which I think I can safely say is a claim you rarely hear anyone making. Instead it’s a eulogy about poor old Marv, who died of a massive coronary at the age of thirty two, who only had bacon, and then only two strips every fourth Sunday, but only during the winter months. 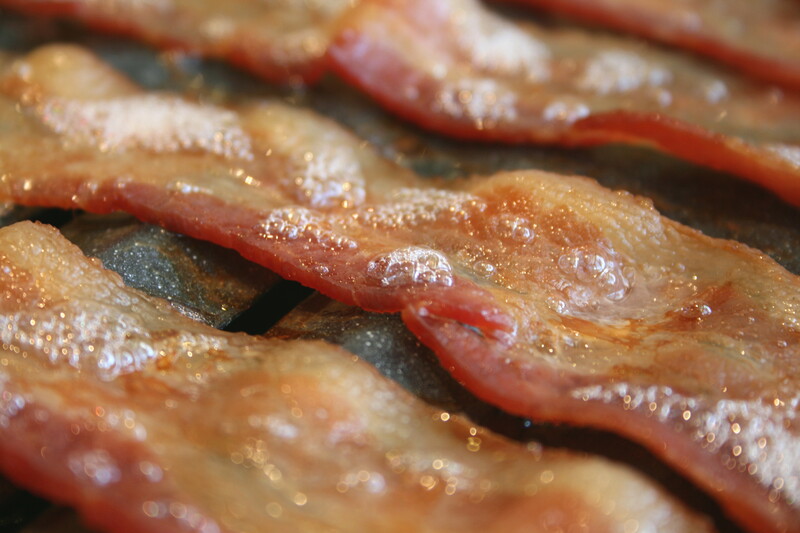 Wow, one hundred and five years of eating bacon. Just think about it. For one thing, it means I have fifty more years of bacon consumption ahead of me, potentially, assuming I don’t end up like Marv. If anything were to keep me going it would be the expectation that I could have fifty more years of bacony goodness. Plus, if I live long enough, I might get to ride in the Oscar Mayer Weinermobile, too. You have to admit, the Weinermobile is like the coolest sausage shaped vehicle that man has ever created. Yes, yes, there were the Zeppelins, but they burst into flames at the drop of a hat and almost never delivered coupons for packages of pork products. At least I don’t think they did, though if the Hindenburg did contain a few crates of coupons good for half off on genuine German bratwurst, then the tragedy at Lakehurst would have been all the more, well, tragic.